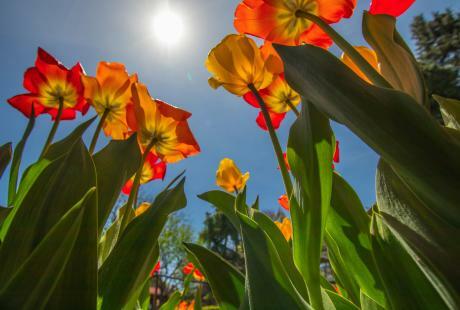 Home to fine restaurants, an amazing arts scene and exciting nightlife, Bucks County is the perfect destination for a romantic getaway. Catch a performance at a historic theater, cozy up with a bottle of wine or place your bets at the casino. Whatever your choice, a night in Bucks County is sure to be a night of fun, food and entertainment. 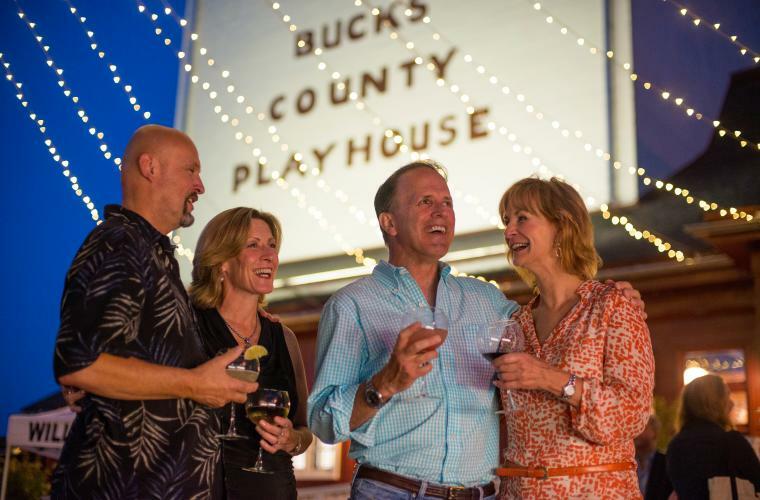 • Enjoy an evening at "America&apos;s Most Famous Summer Theater," at the Bucks County Playhouse in New Hope! Legends like Grace Kelly and Robert Redford have performed on the Playhouse stage in its 75-year history. 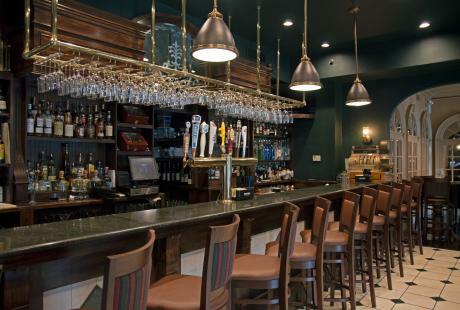 Before the show, enjoy the Mediterranean cuisine of the Logan Inn. Show your Playhouse ticket and receive a complimentary glass of "sparkling wine" with your dinner. • Spend an evening in Sellersville with dinner and a concert. The Washington House offers seasonal fine dining entrees in a casual atmosphere. After dinner, head next door to the historic Sellersville Theater. Built as a stable in 1894, the Theater brings some of the best musical acts from around the world to this intimate venue. • Spend an evening sipping wine at one of Bucks County&apos;s fine wineries. Crossing Vineyards and Winery offers special evening events like food and wine pairing classes and Hot Tunes, featuring live music select Friday nights throughout the year. New Hope Winery brings in great touring musicians and performers from around the country for shows throughout the year. • A musical or play at the Bristol Riverside Theatre is a great way to spend an evening with your favorite guy or gal. The theatre offers nearly 250 performances a year, including five mainstage productions, a summer musical series and numerous special events. • Plan a romantic getaway to the historic Inn at Barley Sheaf Farm. Relax with a soothing in-suite massage before enjoying a romantic dinner for two in Barley Sheaf&apos;s restaurant. Spend the night in the elegant manor house or plan a private escape in the Stone Bank Barn or Guest Cottage. • Spend an evening in romantic New Hope. The town&apos;s Main Street is lined with unique, independently owned shops and boutiques, like Heart of the Home where you can browse the work of more than 300 artisans. After your shopping is finished, enjoy a romantic dinner at Marsha Brown. Set in a renovated stone church, Marsha Brown serves Creole classics inspired by its namesake&apos;s childhood in New Orleans. 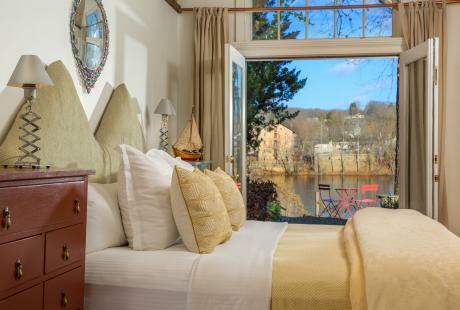 Extend your visit with a night at one of the romantic bed and breakfast inns that line Main Street or located nearby along the scenic Delaware River. • Try your luck with an evening at PARX Casino in Bensalem. PARX offers more than 3,000 slot machines, 100 table games and a 60-table poker room for hours of fun and excitement. Grab dinner at one of PARX&apos;s fine restaurants, like Chickie&apos;s and Pete&apos;s, home of the world-famous Crabfries. Then dance the night away to the area&apos;s best bands and DJ&apos;s at 360 Nightclub at PARX. • Turn your date night into a date weekend with a stay in a rustic cabin. 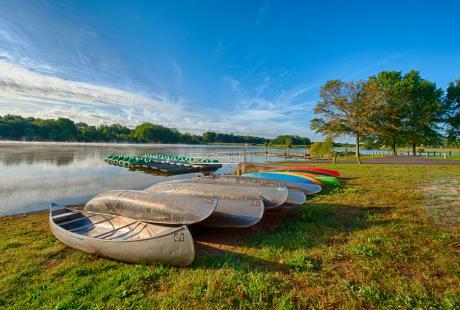 Nockamixon State Parkoffers 10 log cabins for rent year-round, with just a two-night minimum stay in fall, winter and spring. Grab a bottle of Bucks County wine and snuggle up beside the fire pit for a romantic evening in nature. • Catch a movie at the historic County Theater in Doylestown. This art-deco theater dates to the late 1930s and specializes in art, foreign and independent films. Before the show, be sure to enjoy a meal at one of the fine establishments in Doylestown&apos;s downtown district. 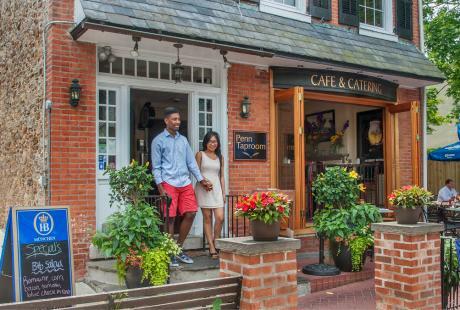 • Stroll the cobblestone streets of Peddler&apos;s Village, an 18th-century-inspired shopping village. Take a break from browsing the specialty stores and boutiques for a delicious farm-to-table dinner at Earl&apos;s New American. Retreat to your room at the luxurious Golden Plough Inn.